Babies eat like it's their job because, well, it is. Within the first days of life, their tiny tummies rapidly grow so that, before you know it, they are easily able to down full bottles of milk. The good news is that accommodating their appetites has never been easier thanks to some pretty remarkable developments with pump technology. Before you know it, you'll both be pros at this—especially if you're prepared with these pumping essentials. Pumping milk can feel like a part-time job. But thanks to some amazing advances in technology, it doesn't have to be such hard work. 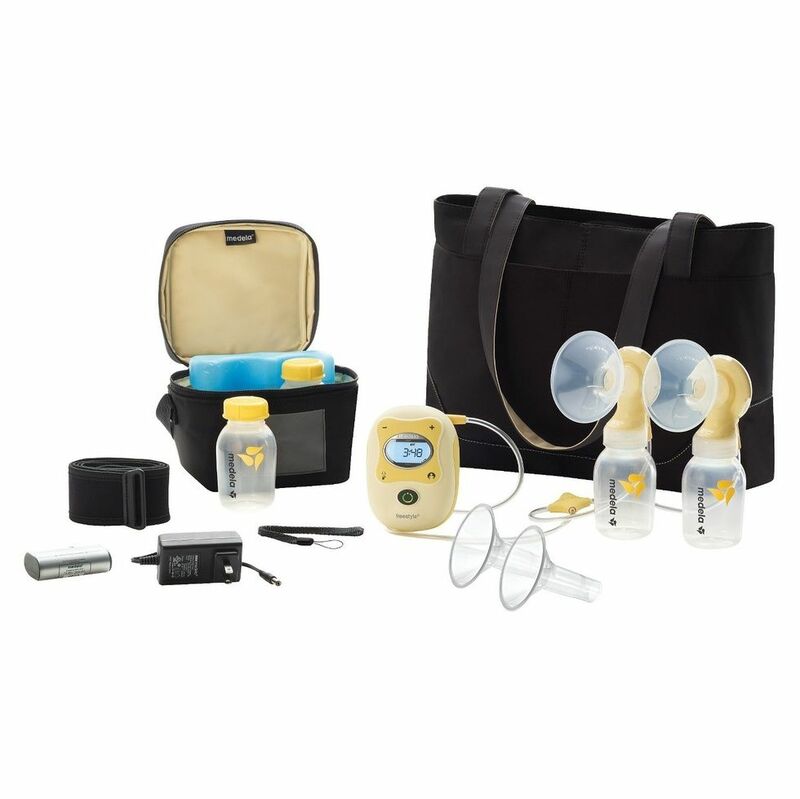 We love that this kit includes everything you need for pumping at home or on the go, thanks to a rechargeable battery. The cooler bag with ice pack, two sizes of breast shields and tote bag make for great added bonuses.